There’s no ceiling on effort (nor on Middleton Hall)! Sunday 15th July. Another great digging day! As we began our second day’s digging we could see a sky of grey with a distant line of light blue in the distance. Alas! 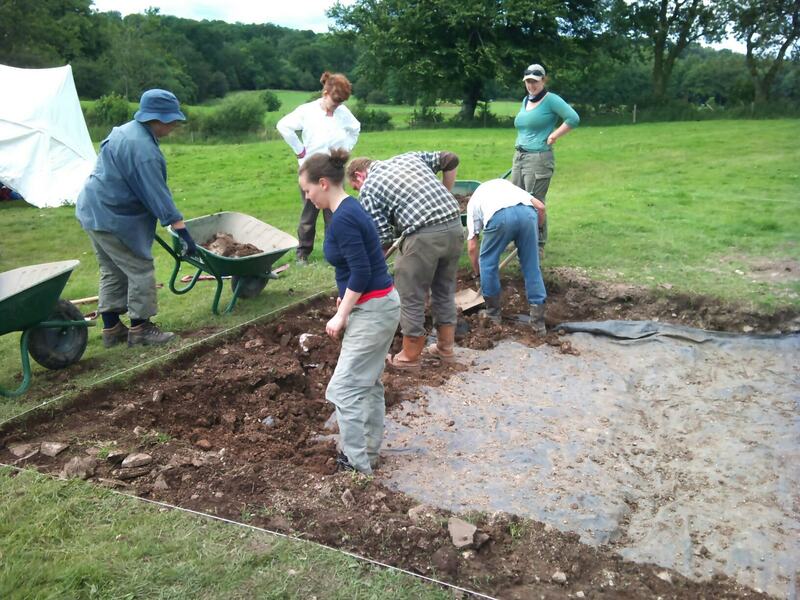 The clear blue sky did not reach us but grey skies and no rain provide fantastic digging conditions. 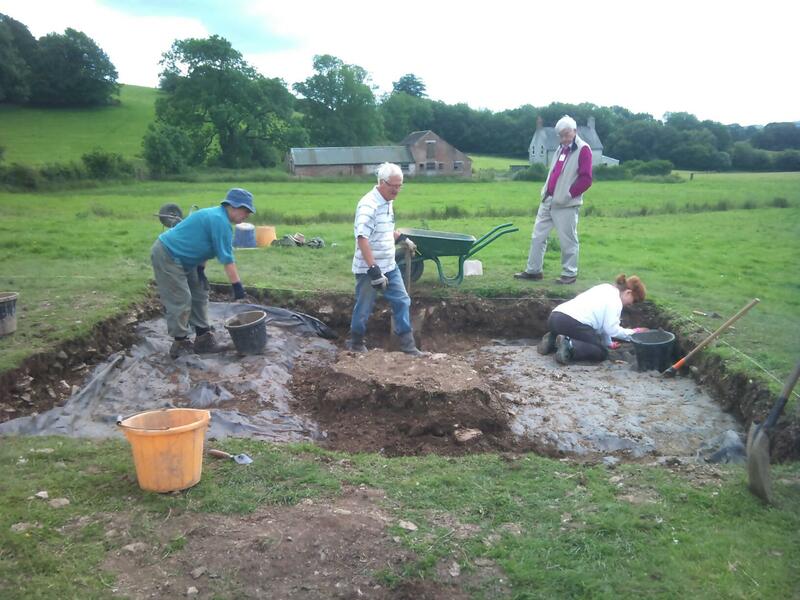 We were continuing to remove the spoil from last year’s excavation – a hard slog but satisfying work as we uncovered more of the teram fabric layed down at the end of last year’s dig. By the middle of the afternoon we were left with only a small island of spoil left in the middle of the trench. After removing this and cleaning up any soil that was remaining on the teram we could see that we had missed the edges of last year’s trench area and as such we needed to extend the trench by 50cm to the west and north. As the sun shone briefly through the grey we managed to remove the majority of the extension on the north side of the trench (pictured below) and by the end of the day we were slightly sunburnt! 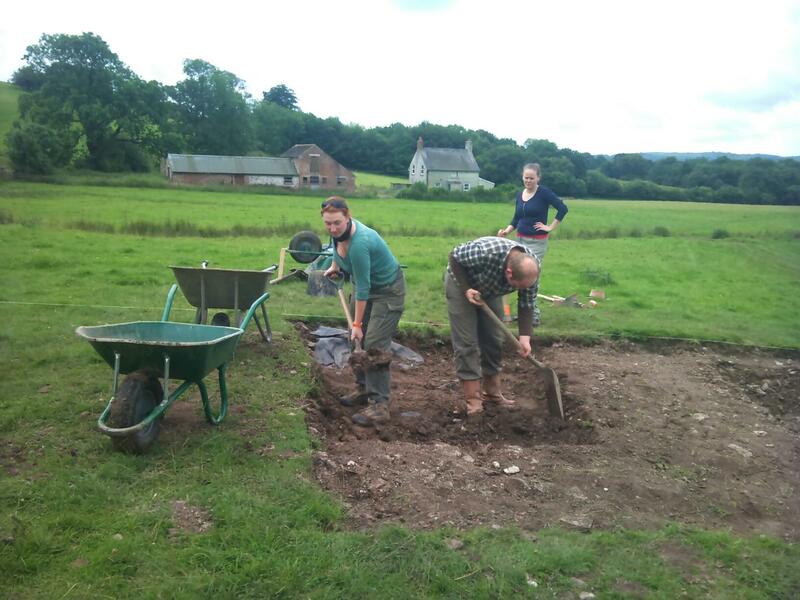 Many thanks to the dig team for their concerted effort! Good job! This entry was posted in Uncategorized and tagged archaeology, carmarthenshire, cymru, garden, middleton, national botanic garden, wales. That’s all folks! Sunday 29th July. The penultimate scribble. Saturday 28th July. All I’m thinking about today is cleaning. Friday 27th July. Digging ourselves a ditch. Thursday 26th July. Cobbles cobbles everywhere. Wednesday 25th July.